Sometimes I take a picture just because I like the way the scene looks. That was the case with this garage attic window, with its bright red shutters against the white shingle siding. 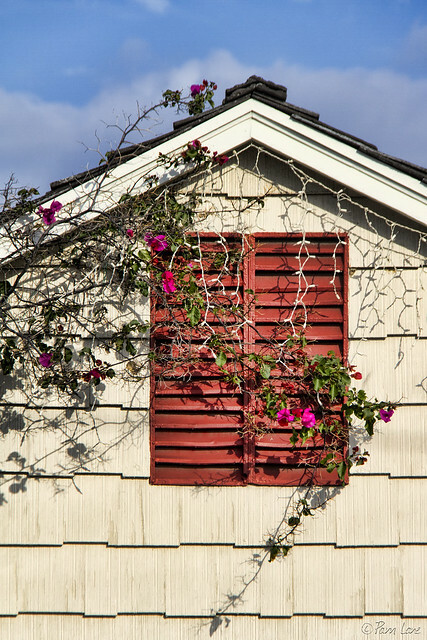 The colorful bougainvillea growing along the roof line adds another touch of color. And the wires for the icicle lights (ready for next Christmas, I assume) add a touch of whimsy.